It is for the first time that preparations for next year's Haj have started immediately after completion of the current year's Haj process, a statement from Naqvi's office said. 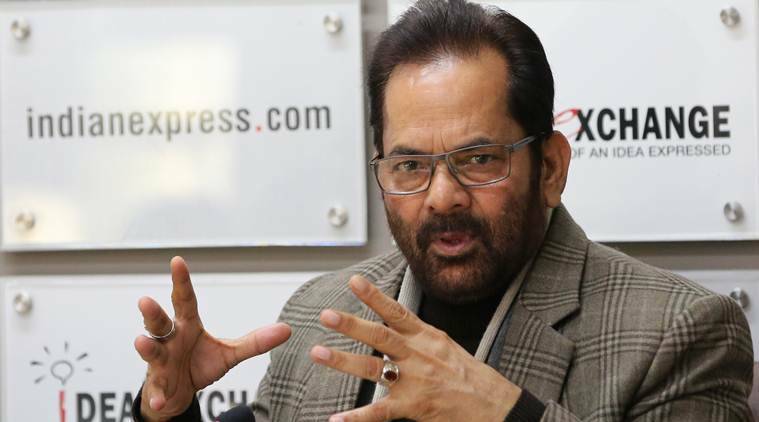 The process for next year’s Haj will be announced in the next few days as preparations for the 2019 pilgrimage have already started, Minority Affairs Minister Mukhtar Abbas Naqvi said Wednesday. He made the remarks after a Haj review meeting in which several senior officials from Minority Affairs Ministry, Ministry of External Affairs, Civil Aviation Ministry, Health Ministry and Haj Committee of India and Indian Embassy and Consulate in Saudi Arabia, took part. It is for the first time that preparations for next year’s Haj have started immediately after completion of the current year’s Haj process, a statement from Naqvi’s office said. Haj 2019 will be announced in October, it said. It was observed in the meeting that Haj 2018 was pro-pilgrims even after the removal of Haj subsidy, the statement said. Elimination of middlemen and 100 per cent online and transparent system ensured that even after the removal of Haj subsidy, there was no unnecessary financial burden on the pilgrims, it said. Naqvi said Haj 2018 was successful and for the first time after Independence, a record number of 1,75,025 Muslims from India performed Haj. He said the Ministry of Minority Affairs, in cooperation with Saudi Arabia Haj Consulate, Haj Committee of India and other agencies, had completed preparations for Haj 2018 about two months before schedule to ensure a smooth pilgrimage. Naqvi said safety and better facilities, including medical services for pilgrims, were the priority of the government and there will be no lackadaisical approach on that. In the meeting, several issues were discussed regarding Haj 2019 such as Haj application process, accommodation, transport and medical facilities for pilgrims etc.